A global study from Deloitte taking in the opinions of 22,000 consumers in 17 different countries finds that although attitudes to autonomous vehicles are becoming more positive, the majority of consumers need evidence that these technological advances will lead to safer cars. Whether in Germany, Korea, India, China, the US or Japan, a lack of trust was the number-one answer when consumers were asked about whether they'd consider a self-driving car. In South Korea, 81% of respondents said that they had safety concerns, followed by Japanese (79 per cent) and German consumers (72 per cent). 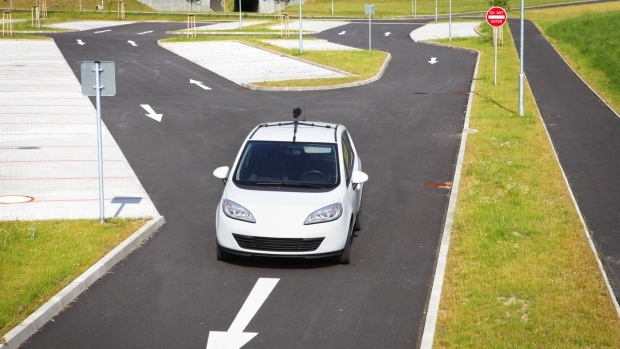 Even in the US where real-world testing of autonomous cars is a reality in a number of states, 74 per cent feel that self-driving cars won't be safe. However, 68 per cent of Americans said they'd change their opinion once such cars have proven they're safe, and 54 per cent said they'd travel in an autonomous car if it had been built by a brand they trust. And it could prove especially challenging for the US automotive industry to gain this trust. Deloitte found just 47 per cent of US consumers trust carmakers to deliver an autonomous car (compared with 51 per cent in Germany and 76 per cent of Japanese respondents) but it's worse still for tech companies. Google may have taken an early lead in the race to develop a truly self-driving car, or at least the technology underpinning them, but only 20 per cent of Americans said that they would trust a car from an established Silicon Valley company. The report comes as a number of carmakers, from Honda and Toyota to Volvo, have reiterated that despite the rapid pace of technological development, they haven't lost sight of the fact cars are first and foremost built for people. "The important question isn't whether future vehicles will be equipped with automated or connected technologies," said Bob Carter, senior vice president of automotive operations for Toyota during his CES presentation. "It is the experience of the people who engage with those vehicles."